The ESSENCE BAND Rocked our World! 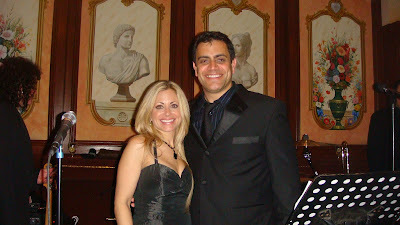 Our Wedding was on 4.21.12 The ESSENCE Band ROCKED OUR WORLD!!! We simply cannot rave about this band enough. There are no words big enough, expressive enough, impressive enough, or appreciative enough to convey how incredibly happy we were with our wedding dance music provided by this band. Every single guest at our wedding complained that they did NOT WANT the music to stop! Every single one! At our reception hall, the banquet staff, all were standing around with their jaws dropping and nodding their heads and tapping their feet... they all were asking for the band's business cards and saying that they had never heard a band in the last 500 weddings at their facility that was as good as this one! The ESSENCE Band so extremely surpassed every one of our expectations that really, we are speechless and so very thankful that we selected THEM to play at our wedding! We were a bit worried when trying to book the band only off the video, even though we saw a lot of live footage of them performing on their website, still, we were a bit nervous... and what a waste of time and energy that was!!! IF you want a band that will ROCK YOUR WORLD... choose The ESSENCE Band and call Iris right away! PS she was terrific too. We bugged her so much, I'm embarrassed to say and she was always available to us, gave us her cellular and we called her on weekends, evenings and well, she was so reassuring and great... big thumbs up all the way from beginning to end. ESSENCE and IGMC you have our biggest THANK YOU! Jen and Jim 4.21.12 Wedding.